Upgrade to a 12 Amp Pro-Series Servo Control and NEMA 23 Servo Motors for the ultimate in power, speed and precision. 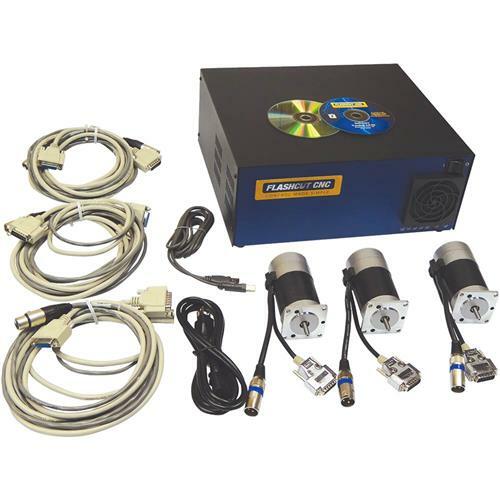 Includes FlashCut CNC Windows-based software, (3) NEMA 23 servo motors with 10' servo xables, motor mounts, pulleys, belts, and associated hardware. Ball screw upgrades are also available. Designed for our G0704.